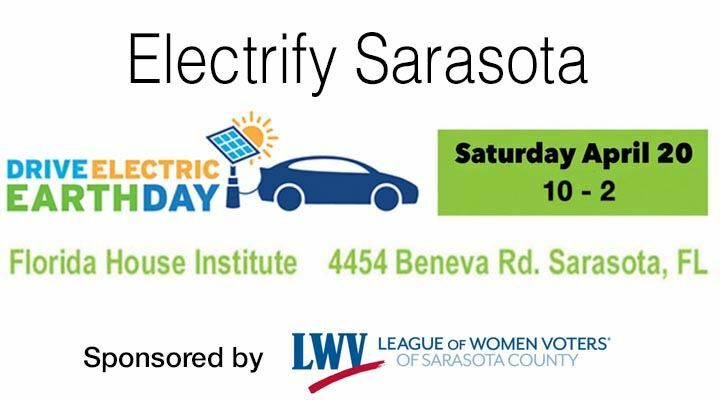 The weather was great for the Electrify Sarasota Earth Day celebration at the Florida House Institute. The 45 registered EV owners, half of which owned Teslas, reported 1,087,983 electric miles driven. Our club member Zach Sharek was featured on local news. About 8 years ago, when Zach was a precocious 11-year old, he and his dad Chris Sharek, also a club member, were the first early adopters and vocal EV advocates in Sarasota. At the time Chris had just purchased a Chevy Volt and the two of them would give impromptu talks to the public on the virtues of going electric. I recall how young Zach would earnestly explain how he was going to take really good care of his dad’s Volt because when he reached driving age it would be his. A few years ago, Chris purchased his Tesla Model S and sure enough Zach inherited the Volt. How time flies, but it was so good to see them still both at this event in their respective EVs! Here's some photos of the event and of a little club meet-up we had after the Earth Day event at a great local pizzeria. 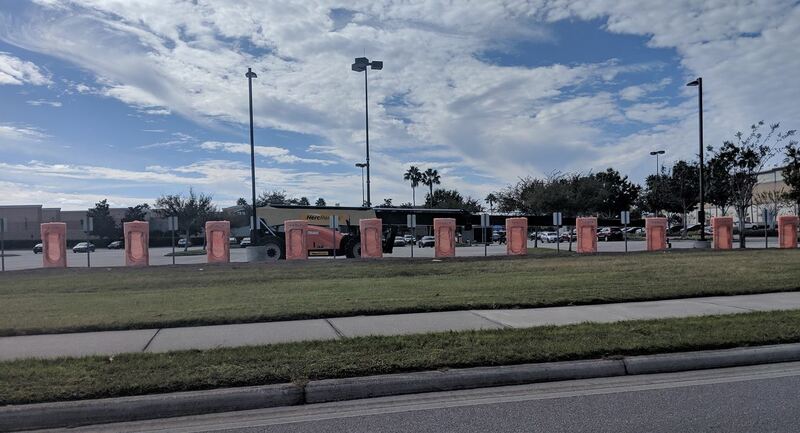 Tesla owners posting on social media have discovered a new Supercharger Station under construction at a Winn-Dixie grocery store in Riverview. 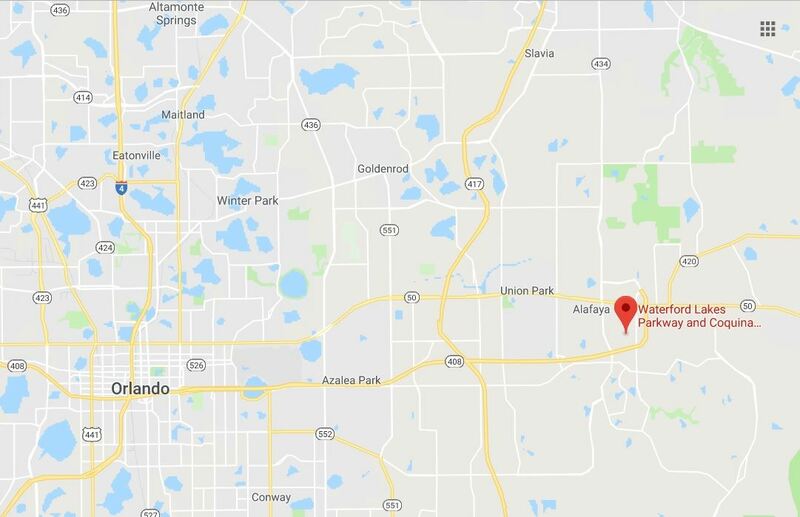 What is interesting about this discovery is that you will notice that it is not currently listed on the official Tesla Find Us map. 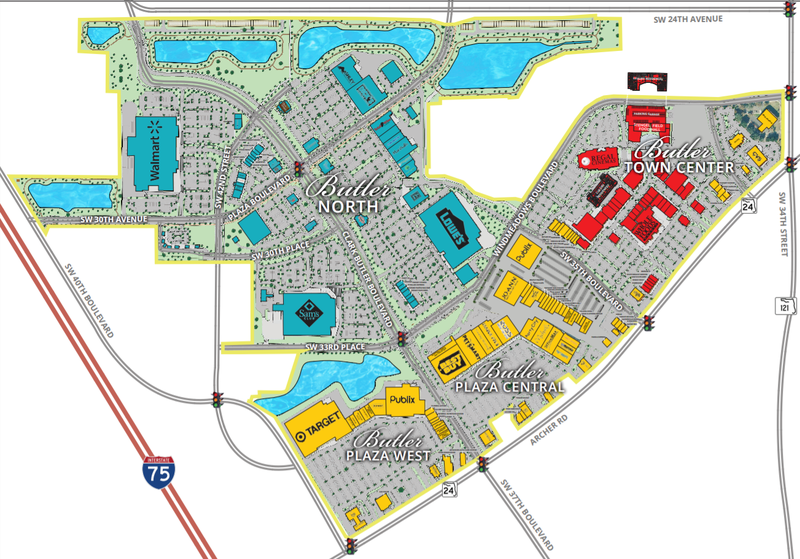 The Winn-Dixie store is located at 10665 Big Bend Rd, Riverview, FL 33579. 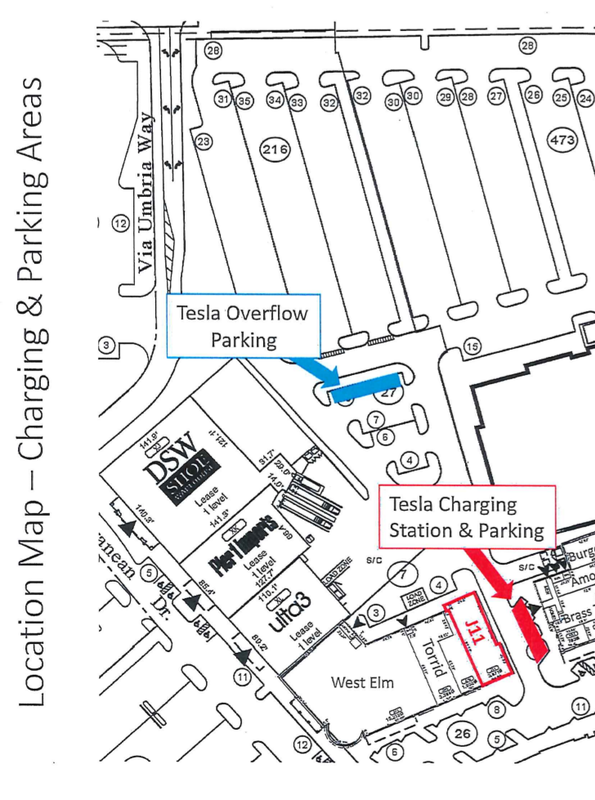 Recently Tesla seems to be clustering a number of Supercharger Stations in urban areas. The Tampa area has received several stations. 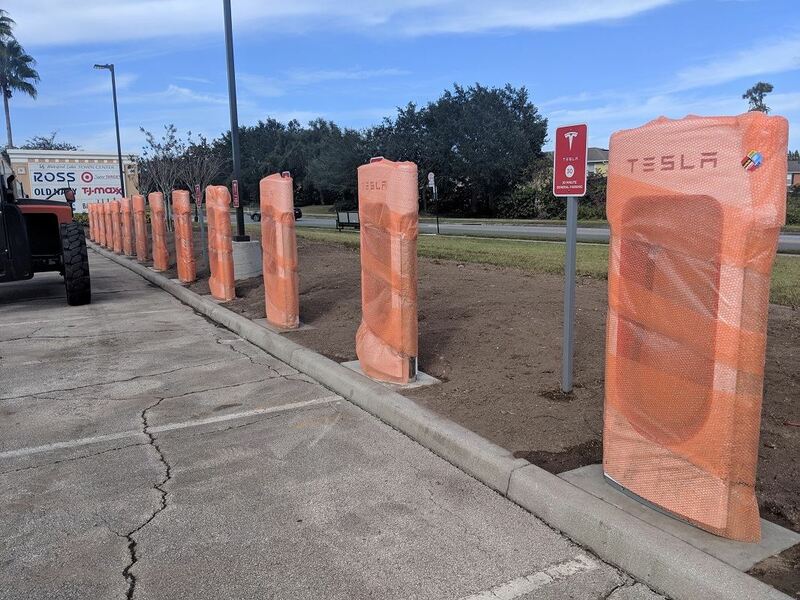 Judging from the number of Supercharger cabinets at the construction site it appears that this station will have 10 charging terminals. 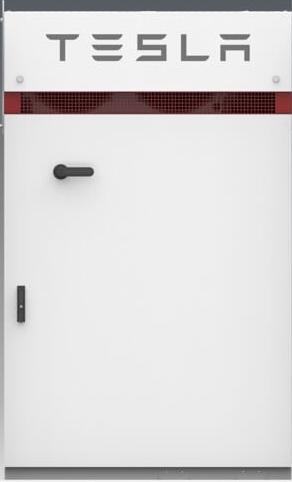 Here are 5- Supercharger cabinets and 3- high voltage switchgear cabinets. Trenching and conduits for charging terminal. 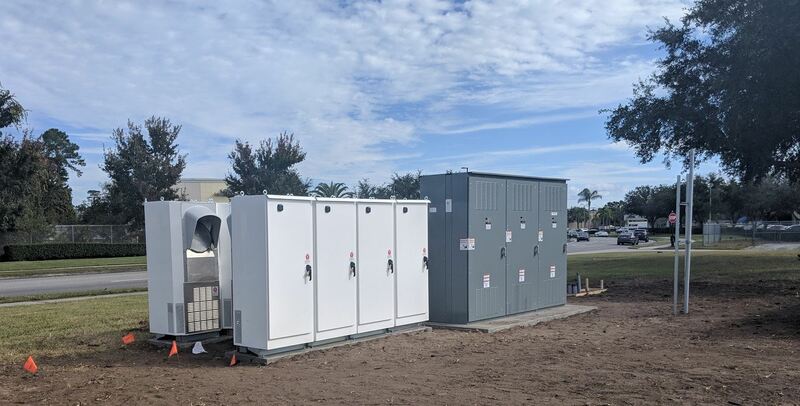 Contractors set Supercharger Cabinets and high voltage switchgear on concrete pad. A couple of the charging terminal have been installed. Update as of February 13, 2019. Here is a photo of the first Tesla to charge at this new Supercharger Station. Currently this station is not displayed on Tesla navigation screens nor is it shown on the Tesla Find Us map. 177 people registered for this popular event. 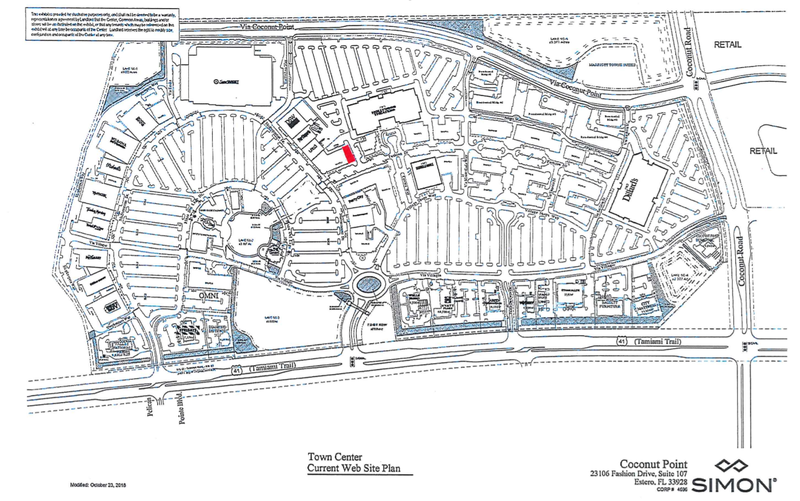 On February 3rd this was a very successful, free Cars & Coffee type event, that included an exclusive meet and greet with Trevor Page, Founder of Model 3 Owners Club. Trevor came all the way from Toronto to meet the Tesla community here in sunny Florida. 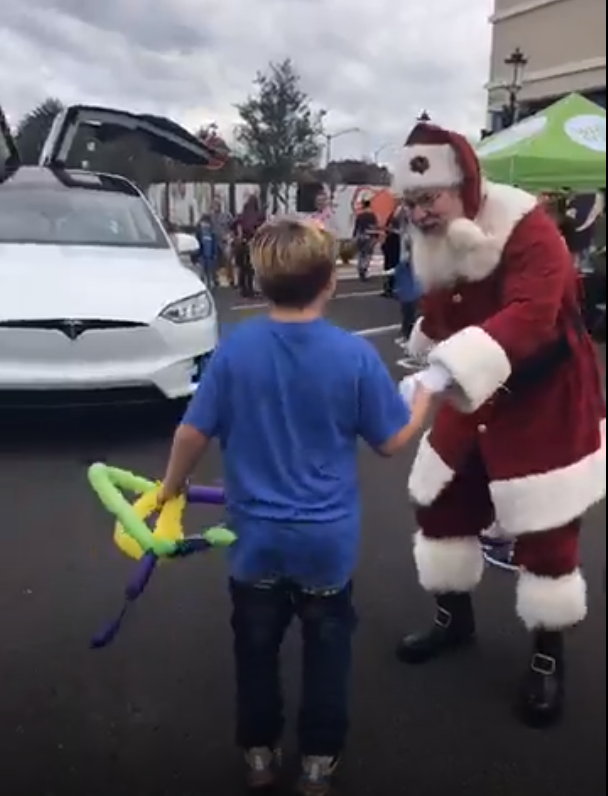 He spoke about the Model 3 and did a brief Q&A with the crowd. 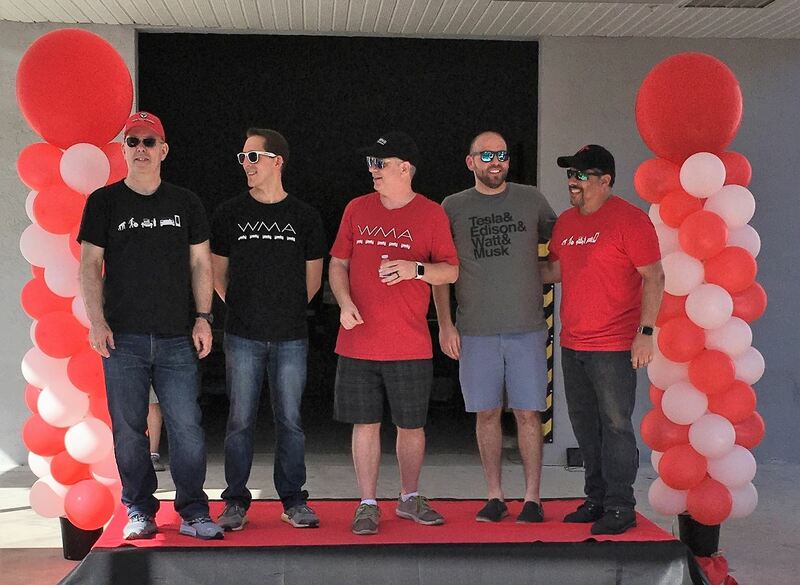 Other special guests included, Eric Camacho & Ian Pavelko (Model 3 Owners Club Podcast), Michael Bodner (Teslatunity on YouTube), and Rafael Santoni (TesLatino on YouTube). In addition to being a the host of a popular YouTube channel, Michael is a member of our club and serves on one of our event committees in the Southeast Region. EVBite, an online magazine that covers developments in the electric vehicle industry, also covered this event. Although the title of the article was a bit of a "head-scratcher", they nevertheless covered the event nicely. 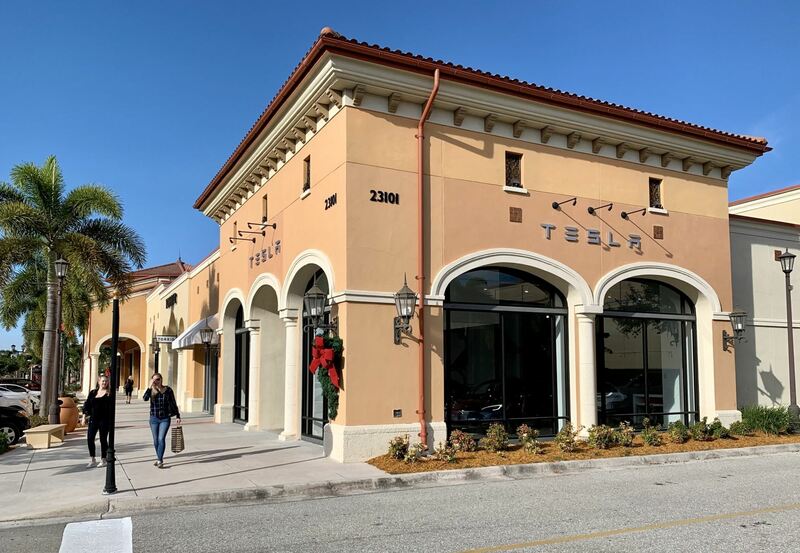 Note: Last night (January 21, 2019) when I initially published this article, the Florida Supercharger rate posted on the official Tesla website was $ .31 per kWh which was a 41% increase over the previous rate of $. 22 per kWh. Today (January 22, 2019) Tesla revised their website and the current posted rate is now $ .28 per kWh, a 27% increase. 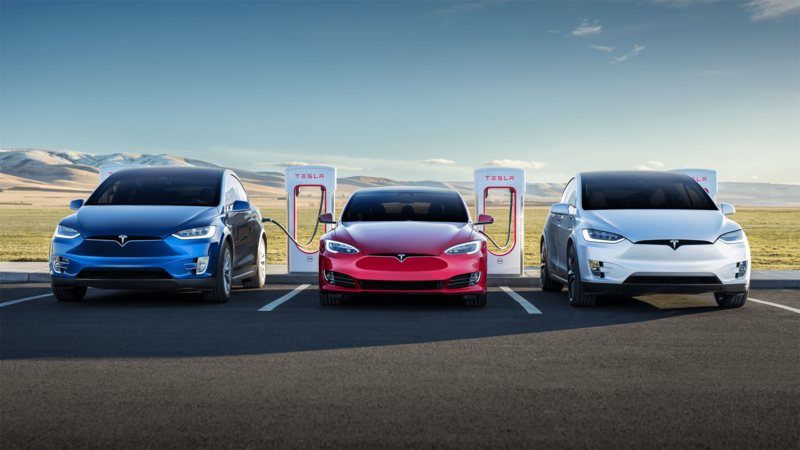 This article has been revised to incorporate the current Supercharger rate as of January 22, 2019. 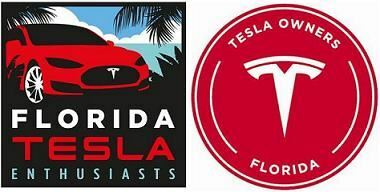 Recently Tesla increased the rates to Supercharge in Florida by 27 %. For illustrative purposes I’ve calculated the dollars per mile to drive a long-range Model 3 (non-performance), a 100D Model S and a 100D Model X when being charged for Supercharging versus charging at home. I also calculated what the minimum mpg of a gasoline vehicle would have to be to match the Tesla costs for each of these three examples using the current average cost of gasoline in Florida versus the current average cost of electricity in Florida. According to the federal government’s fuel economy statistics, a long-range Model 3’s fuel economy is .260 kWh/mi. 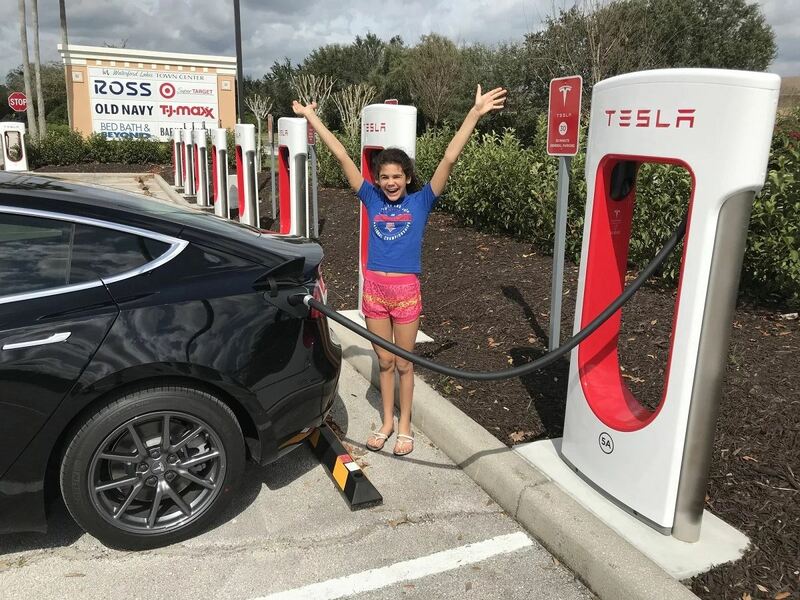 To charge a long-range Model 3 at a Supercharger in Florida with Tesla’s new fees of $.28 per kWh equates to a cost of about $ .07 per mile. According to Electricity Local, the average residential cost of electricity in Florida is about $ .1142 per kWh. So, for comparison, to charge a long-range Model 3 at home typically equates to a cost of about $ .03 per mile. According to AAA Gas Prices, average gasoline prices in Florida for regular and premium gasoline are currently only $2.224 and $2.837 per gallon respectively. So, a gasoline vehicle using regular gas now only requires an mpg of about 31 to match the Model 3’s cost of $ .07 per mile when exclusively paying Supercharging fees. Gasoline vehicles requiring premium gas would need to achieve an mpg of 39 to match the cost per mile of the Model 3 when paying for Supercharging. At the current average cost of gas, gasoline vehicles on regular gas would still have to achieve an mpg of 75, and premium gasoline vehicles would have to achieve an mpg of 96, to match the cost per mile of a Model 3 when charging at home. Likewise, according to the government, a 100D Model S has an efficiency of .330 kWh/mi. If the Supercharging costs are not “grandfathered” at zero, that equates to a cost of $ .09 per mile to Supercharge at current rates. That compares to $ .04 per mile to charge at home. With average regular gasoline prices in Florida at low levels, it only requires a regular gasoline car to achieve an mpg of about 24, or a premium gasoline car to achieve an mpg of about 31, to match the Model S’s $ .09 per mile while exclusively Supercharging. A regular gasoline vehicle would have to achieve an mpg of 59, and a premium gasoline vehicle would have to achieve an mpg of 76, to match the cost per mile of a Model S charging at home. Finally, the government puts the efficiency of a 100D Model X at .390 kWh/mi. Likewise, if the Supercharger costs are not “grandfathered” at zero that equates to a cost of about $ .11 per mile while exclusively Supercharging, or in comparison $ .045 per mile to charge at home. With average regular gasoline prices at low levels, it only requires a gasoline vehicle using regular gas to achieve an mpg of about 20, or a premium gasoline vehicle to achieve an mpg of 26 to match the Model X’s $ .11 per mile while exclusively Supercharging. A regular gasoline vehicle would have to achieve an mpg of 50, and a premium gasoline vehicle would have to achieve an mpg of 64 to match the cost per mile of a Model X charging at home. The costs per mile in the article were rounded to two significant figures. The costs in this table are displayed to three significant figures. Calculations used the additional precision presented in the table. According to the Bureau of Transportation Statistics, in 2016 the fuel economy of an Average light-duty vehicle was 22.0 mpg, for New passenger vehicles it was 37.7 mpg, and for New light-duty trucks (SUVs are included in this category) it was 27.4 mpg. So, due to the current low price of regular gasoline, for Teslas who must pay Supercharger fees, the cost per mile on trips may not be as low as some high-mpg gasoline vehicles when competing with all classes of light-duty vehicles and trucks. However, it is still likely that when comparing similarly optioned gasoline cars in Tesla's respective classes, the Teslas would still compare favorably when measuring dollars per mile. For instance, comparing a Model 3 with a BMW 3 class, or comparing a Model S with a BMW M5, etc. It should also be noted that most charging, perhaps as high as 90%, occurs at home so overall the fuel costs of Teslas are still going to be less than the vast majority of gasoline vehicles even with this increase in Supercharging rates. Update as of January 22, 2019 1:37 pm. 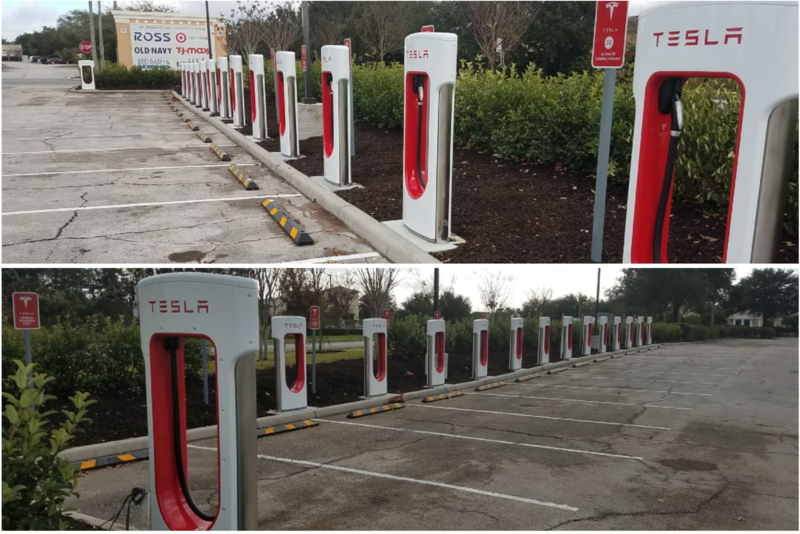 Electrek reports, Tesla cuts Supercharger prices back down after customer backlash over increase. "Now Tesla told Electrek that it listened to customer feedback and decided to reduce the Supercharger price increase by 10% globally. It is now down to $0.28 per kWh"